Our December meeting was on Saturday, the 10th, @ Hunter Library 4800 W 4100 S @ 2pm. Our second speaker was Brian Whitesides. studied and followed reports of UFOs, Bigfoot and ghosts since the age of 6,and is now 40 years old. the possibilities are there for anything to exist that we don't totally understand. He doesn't call himself a true believer unless he has experienced the phenomena himself first hand. He is a true believer in life after death and spirit entities that remain here for one reason or another, because he has experienced spirits first hand. He has seen aircraft that he could not explain at the time, but believe both cases could be explained by man-made aircraft, so he is still searching for the "truth" concerning the UFO phenomenon. He believes UFO's are a very real possibility and believe that the tens of thousands of witnesses have experienced something that is out of the ordinary. The same is true with Bigfoot. He has not witnessed a Sasquatch/Bigfoot, but has experienced the smell and sounds that the supposed creature makes, first hand. Something is out there that we cannot as of yet explain but he has an open-mind and am ready and willing to witness and participate in the research of these paranormal phenomenon. formsof the paranormal. He will be working on a presentation that will include both photo evidence and EVP evidence to support the life after death and spirit theories. He will give examples of recent and other past ghost hunting investigations that he has been on with Chris and Nancy Peterson, as well as other local groups. He also showed a few pieces of his equipment that are used in a ghost investigation and explain what each piece of equipment does for a ghost investigator. at Hunter Library 4100 S 4800 W at 2pm. Lyn gave an excellent talk about dowsing, the tools, techniques, and benefits. They've been involved with dowsing for so many years. They encouraged the local dowswers to start a Utah chapter of the American Society of Dowsers. l Jackie and Lyn have had been owners of and teachers at Inner Technologies School of Hypnotherapy, but more than anything have had a drive to study a wide variety of healing modalities. Their interests have been similar to Dr Meyers, who has also talked about his dowsing experiences and the classes with Eric Scott Pearl. I think it was Jackie that first introduced us to Dr David Hawkins book 'Power vs, Force'. Dr Hawkins uses kineseology (muscle testing) to getyes/no answers ie: is this vitamin good for my body or does my body need this vitamin, or to determine the level of consciousness of people, groups, countries... anything, according to the graph in his book. Feel free to bring your pendulums, dowsing rods, etc. UUFOH Members - Mark Woody & Troy Jackson were our speakers for our Feb. meeting. TOPIC: Sgt. Clifford Stone (Ret.) A presentation about the life and times of Sgt. Clifford Stone, who, for more than 22 years served with a special unit of the US Army which recovered downed extraterrestrial craft and their occupants., his involvement with rescue operations for downed UFO's and the et's he came in contact with. Very interesting presentation. Mark is a Respiratory Therapist and EMT-I in Gunnison Utah, while Troy works for the Drug Probation Court, and as a Case Manager for troubled teenagers, in Utah and Salt Lake Counties. The meeting for March was on the 26th at 2pm at the Hunter Library 4100 S and 4800 W. I had a video of the late John Mack's following two of his clients, a married man and a single lady and how their 'et' experiences impacted their lives..their struggle to adjust to being part of an 'et' world, and how this evolved from inner conflict to a place where they could see that what started out being fearful was now seen as a working relationship with the 'et's', and an educational experience. A couple of years ago I played a video of a panel of 6 women talking about their ET / Military abductions. get back to seeing the other half of the tape. It was like the energy was siphoned off. It is an interesting tape that I think you'll all enjoy. in March 20 miles south of SLC , and a few other notes of interest. Rich Oliver is a passionate advocate of self empowerment and emerging creativity. He has been a carpenter, a scenic artist, an English teacher, a writer, a poet, an actor, a small business owner, a theological counselor, a mental health specialist, a psychiatric technician, a housing reclamation agent, an editor, an activist and a philosopher. Rich has worked in mental health for many years also, working directly with extremely acute clients at a major psychiatric hospital. Rich has a degree in psychology, and studied Korean language, poetry and history in translation. He lived and worked in South Korea for many years and is familiar with various forms of Shamanism, Zen Buddhism, Confucianism and existential animism. He is an ordained minister and holds an honorary degree in theology. Rich specializes in: space clearing, organization, motivation, shamanic healing, goal setting, emerging creativity, volitional existence, visualization, magnetic attraction theory, sigil work and soulful living. He is also involved in public speaking and is a facilitator for self empowerment seminars. He recently began channeling Saul, a high level master and teacher. l Following Rich's talk and dinner, Dave will hold the 2nd annual 'Help Keep aliendave.com Afloat' auction. Prized possessions can be donated to be auctioned off..or not. We had a good time last year and acquired some useful items (books, metal rose, floor mat, some expensive items, etc.) for a nominal fee. l FUNDRAISER Aliendave had another load of "cool stuff" to auction off to raise funds foraliendave.com Also.. several members donated some nice Items and services for the auction. jrichardoliver@yahoo.com or 566-8247 (leave a short message!). Let me know a convenient time! ALSO thanks to those individuals that purchased my book! I have seen some movement on the publisher's website. ............ Rich. Did You Miss It? Tapes Available Soon! Paola Harris an International Journalist from Rome Italy will show never before seen interviews with Colonel Philip Corso, Clifford Stone, and Charles Hall, perhaps the biggest story in Ufology today. Her disclosure interviews from “top level” people include military intelligence and ex-NASA personnel, who piece together extraterrestrial presence. Ike Bishop will be speaking on Cover-ups and Groups assigned to perpetrate cover-up programs. From the Roswell coverup to the MJ-12 documents to present day acknowledgement of the ones responsible for the cover-ups, it will be disclosed here. Did we see you on the 25th at the 'Whistle Blowers' Conference,? l "You Are Fantastic People"
I will never forget you all...and although the BUS ride was intense...It was worth it! Knowing the truth changes everything. figured out they are part of the cosmos." Mark Kimmel author and speaker will be our special guest. extraterrestrials in both his writing and speaking, Mark gets to the heart of the matter and presents an enlightened vision for the future of our planet. Unwilling to ignore the reality of our current devolution, Mark examines its causes and implications. In a career spanning 20 years, Mark founded and ran three of the most respected Colorado venture capital funds. In addition to providing capital, Mark served on portfolio companies’ boards and helped them with strategy and tactics. He retired from industry in1996. Mark has been listed in Who's Who since 1985. He has degrees in engineering, marketing, finance, and psychology. and show how each person can make a difference in the up-coming planetary transformation. Since 1987, Mark Kimmel, author of Trillion and Decimal, has studied the messages provided by extraterrestrials. Utilizing disciplines learned during his business career, he avoids the sensational and fear riddled perspectives that plague many who get trapped in the alien, UFO, and ET phenomena, and the mystery and secrecy surrounding it. By focusing on the messages from extraterrestrial contact in both his writing and speaking, Mark gets to the heart of the matter and presents the possibility of a utopian vision for the future of our planet. Not willing to ignore the reality of our current devolution, Mark examines its causes and implications. Years before he exited a successful venture capital career, Mark began investigating what he saw as a larger purpose to life. As soon as he abandoned the world of business, the awe-inspiring scope of the larger truth began to unfold itself. His exciting discoveries were presented in his first novel, Trillion. Mark has been listed in Who's Who since 1985. He has degrees in engineering, marketing, finance, and psychology. Mark wrote the first draft of Trillion while he was studying for his Masters in Psychology. He "believed" that we were not the lone inhabited planet, that we were being visited by representatives of off-planet civilizations, and that these wiser beings had messages they wished to impart to us. Since Trillion was published, his beliefs have turned into a "knowing," and his talks expose more and more of the larger truth. Mark is married with two grown sons. He spends his days writing and travels the U.S. speaking about this, the pivotal juncture in human history, and how each person can help make the metamorphosis positive for all on this planet. l Mark Kimmel's emphasis on the spiritual implications of extraterrestrial contact adds an important dimension to the discussion of this, the most important event in human history. www.matchbin.com to speak about the business of bartering. Unfortunately he didnt show. Jon has been busy developing matchbin a online service that offers unlimited possibilities for everyone! He would like to tell us about the advantages of joining a matchbin community like ufotrader a trade site for the UFO enthusiasts! & bring us up to speed on what Matchbin is doing with its Power-Trader program for UUFOH and MUFON. "It's what makes Matchbin relevant to MUFON as a community." Our program starts where Ebay stops. Over two-million dollars have been invested to make this technology and opportunity a reality and a year and a half testing it in the real market. Matchbin utilizes the best of current marketplace options such as Ebay while simultaneously pioneering new untapped possibilities. Many of you might already know or have heard of his brother, S.L.C. native Joe Firmage. A self made millionare who quit his job as a CEO for a multi-million dollar firm to go hunt for UFOs after having a experience with the phenomenon himself. "Joe" is also in the infamous "Out Of The Blue" documentary that got thumbs up from the UFO community as well as UFO skeptics. Its a must see, top notch film on the UFO subject. l ALIEN DAVE took the floor with the latest Utah information. Good news. I just finalized the location for our Sept. meeting. However, it's going to be in Oct. on the 2nd...a Sunday. We will meet at the Day-Riverside Library on Sunday Oct 2nd at 1:30pm to 4:30pm. The library is at 1575 West 1000 North..a short block east of Redwood road on 1000 North, on the south sie of the street. It starts at Riverside St but is somewhat obscured by large trees. It's the furthest south bldg. there will be a $10.00 fee for this event.... .a bargain. Simeon will be discussing some of the latest crop circles and the 30-40 people who are called 'The Circle Makers' who say they are the makers of many, if not most, of the crop circles. Including the complex ones. This will be quite a visual presentation. Denise Lynch is associated with him. former sociology teacher, he now runs the non-profit Institute for Resonance, in Boulder, CO: an organization he founded in 1997 that specializes in instructing people in the art of Resonant Viewing, the scientific study of crop circles, and other subtle-energy phenomena. Thurs 12:30 pm for 10 min. written Close Encounter Report;Cosnic Top Secret, and The Phoenix Lights Mystery. He will bring his books, cd's, and dvd's. Project Aquarius, An illustrated lecture presentation by Bill Hamilton. Is there a project AQUARIUS which deals with UFOs? Is this an NSA project? The first indication of such a project was found in a telex revealed by UFO Researcher Bill Moore in a document marked Secret and dated November 17, 1980. The following sentence appears in this document: The official US Government Policy and results of project Aquarius is still classified top secret with no dissemination outside official intelligence channels and with restricted access to "MJ Twelve" Only one UFO-related document marked Project Aquarius was found through FOIA requests. However, the existence of Project Aquarius as an umbrella project that covers the study of extraterrestrial biological life forms has again come to the foreground with my investigation of scientist and microbiologist Dr. Dan Burisch who claimed to have worked under project Aquarius at Site 4, Papoose Mountain, R-4800 at an underground biological lab as a working group leader who obtained over 200 tissue samples from a live EBE known as J-ROD. AFOSI Agent Rick Doty has revealed the existence of 16 volumes of classified material under the aegis of Project Aquarius. I will present the case for Dr. Dan Burisch, Project Aquarius, and J-Rod with slides and video tape that will examine recent findings in Astrobiology, the physics of time travel, and UFO studies together with information gleaned from interviews with Dr. Burisch over the course of six months. 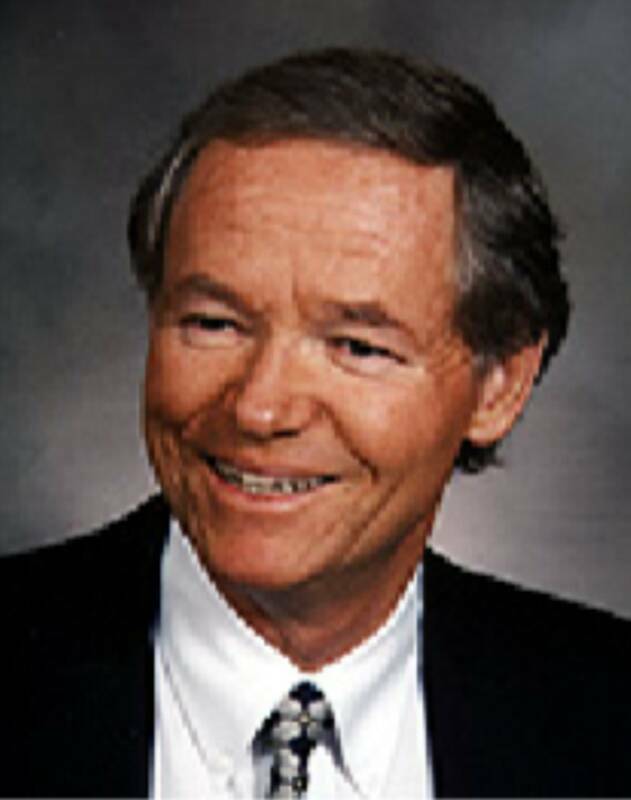 Dr, Dan Burisch is now in emeritus status as a Majestic microbiologist and has been debriefing his 19 years of work and study for the UFO Special Studies Group. In light of multiple sources of inside information I have been able to construct a larger picture of the U.S. government’s alleged interaction with alien beings. I have been researching the UFO subject now since I was a teenager and now, after 50 years, I have reached a much broader perspective on the subject. Our November meeting will be on Saturday, the 12th, @ Hunter Library 4800 W 4100 S @ 2pm. Since I tend to send out 'the sky is falling' or 'the end is near' emails, I thot I'd better ask someone to speak to us about alternative structures that could be used as additional housing or as green houses. The December meeting might be a good time for folks to bring information about ghost hunting..sasquatch sightings.. anything paranormal..ideas for future meetings.....ways to make money to bring speakers in.. suggestions for future speakers..best locations..best days..Sat or Sunday?????? not having an adequate connection for the sound system so we could hear the Dan Burisch interview. priviledge to be there too. Thanks Pete. Matt Groen was the mc. for the day and was more than adequate. He seemed very comforable in that roll.